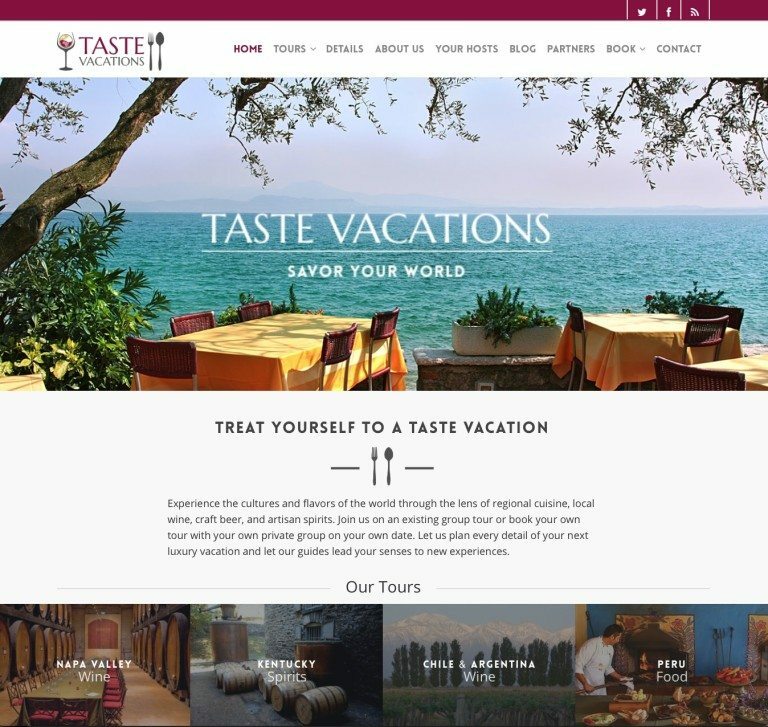 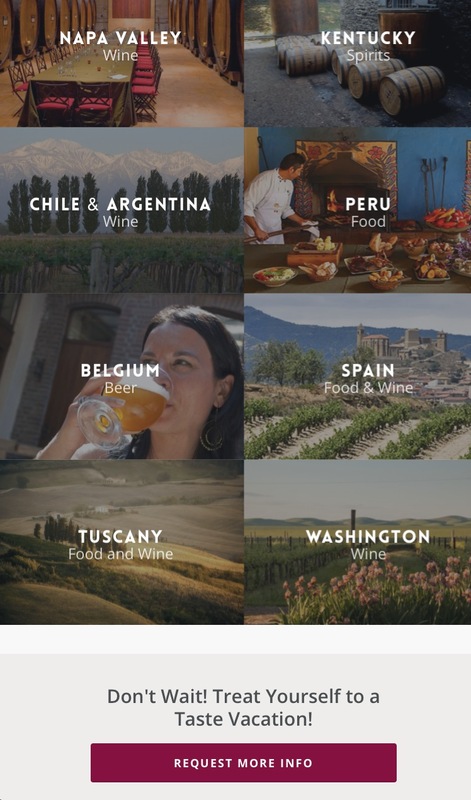 Taste Vacations is a company that hosts tours around the world to provide guests with cultural experiences and flavors through the lens of the regional cuisine, and, of course, the local wine, beer, and sprits. 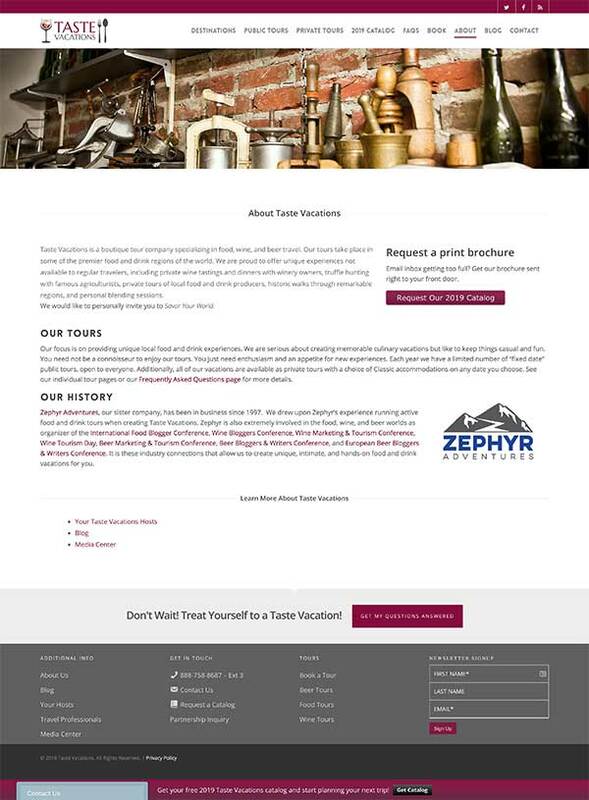 We chose a theme that allowed us to create a layout that displays the beautiful experiences that the tours has to offer. 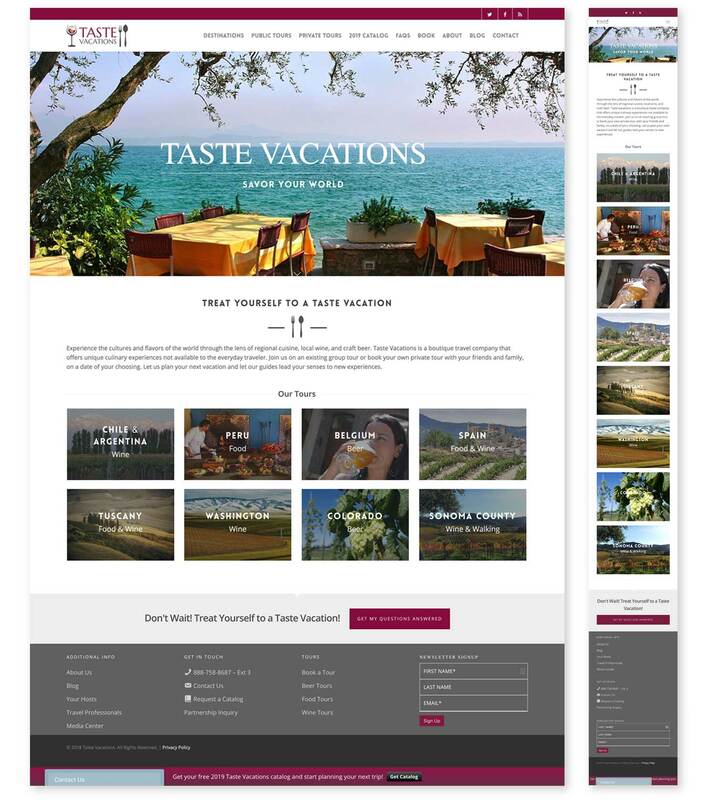 As for the aesthetics of the design, it was easy, we let our hearts fall in love with the food and travel which is what we expect the visitors of the site to feel as well.